NELLIE, India (Reuters) – Thirty-six years after losing his parents, sister and a four-year-old daughter in one of India’s worst sectarian massacres, Abdul Suban says he is still trying to prove he’s a citizen of the Hindu-majority nation. Suban is one of hundreds of thousands of Bengali-speaking Muslims categorised as “doubtful voters”, who will not find their names in a National Register of Citizens (NRC) the northeastern border state of Assam will release on Monday. With an eye on the 2019 national election, the BJP’s Hindu-first campaign has become more strident, critics say, playing to its core base with divisive programmes such as the citizenship test in Assam, already a tinderbox of ethnic and religious tensions. Suban said both he and his father were born in Assam, and showed Reuters a soiled yellow document that showed his father’s name in the list of voters in Assam for 1965, before the cut-off date. The local border police declined to discuss individual cases, but said not all documents furnished by suspected illegal immigrants were valid. “BJP’s only aim is to do communal politics, including through the NRC,” Congress lawmaker Ripun Bora said. The BJP said the NRC was monitored by the country’s top court and there was no question of discriminating on the basis of religion. Rivals say that as Modi’s government faces disillusionment for failing to deliver on jobs and prosperity, it will step up religious mobilisation across the country. “We are doing an exercise that is unprecedented and if there are course corrections which are required to be done, we will need to do that,” said Hajela, who is guarded round-the-clock by a team of police. Hajela said that most of Assam’s 126,000 so-called doubtful voters, and an estimated 150,000 of their descendants, would be excluded from the NRC in accordance with a court order. One of them is Nellie farmer Suban’s son Nabi Hussain, 28, who said he has voted in two Indian elections but now fears arrests. FRANKFURT (Reuters) – Facebook said it had deleted hundreds of offensive posts since a law banning online hate speech came into force in Germany at the start of the year that foresees fines of up to 50 million euros (51.53 million pounds) for failure to comply. The social network received 1,704 complaints under the law, known in Germany as NetzDG, and removed 262 posts between January and June, Richard Allan, Facebook’s vice president for global policy solutions said in a blog. “Hate speech is not allowed on Facebook,” Allan said, adding that the network had removed posts that attacked people who were vulnerable for reasons including ethnicity, nationality, religion or sexual orientation. Complaints covered a range of alleged offences under Germany’s criminal code, including insult, defamation, incitement to hatred and incitement to crime, the report said. Of the posts that were blocked, the largest number was for insult. That’s in part due to collective memories of hate-filled propaganda that date back to Germany’s 20th century history of Nazi and Communist rule that don’t always sit well with Facebook’s broad view on freedom of speech. Chief Executive Mark Zuckerberg faced criticism in Germany after saying in a recent interview that Facebook should not delete statements denying that the Holocaust happened – a crime in Germany. He later clarified his remarks. Facebook has a dedicated team of 65 staff handling complaints under the NetzDG, Allan said, adding that this could be adjusted in line with the number of complaints. From January to June, Facebook removed a total of around 2.5 million posts that violated its own community standards designed to prevent abusive behaviour on the platform. “We have taken a very careful look at the German law,” Allan wrote in his blog, which was published in German. The post Facebook deletes hundreds of posts under German hate-speech law appeared first on Faith Matters. BANGKOK (Reuters) – Eleven boys from a football team rescued from a flooded Thai cave in a drama that gripped global audiences were ordained as Buddhist novices on Wednesday in memory of a volunteer diver who died during their rescue. There were no related copyright issues, as the story was “public knowledge”, Thai culture minister Veera Rojpojanarat said in a statement. “Therefore, anyone can produce movies, videos, and animations of it,” Veera said. The post Thai cave boys adopt saffron robes of Buddhist novices to honour dead rescuer appeared first on Faith Matters. (Reuters) – A Michigan man seized overseas by a U.S.-backed Syrian militia has been charged with providing material support to Islamic State militants, the U.S. Justice Department said on Tuesday. Ibraheem Izzy Musaibli, 28, of Dearborn, Michigan, provided support to the group from 2015 until last month, the department said in a statement. Musaibli, a natural-born U.S. citizen, will be arraigned in federal court in Detroit on Wednesday, it said. U.S. prosecutors in Indiana said Musaibli was transferred from the custody of the Syrian Democratic Forces along with a U.S. woman, Samantha Elhassani, who has been charged with making false statements to the FBI. Elhassani was accompanied by her four minor U.S. citizen children, who were placed in the care of the Indiana Department of Child Services, the U.S. Attorney’s Office for the Northern District of Indiana said in a statement. Both defendants arrived in Indiana on Tuesday. Musaibli was transferred to Michigan, and Elhassani, also known as Samantha Sally, will appear in federal court in Hammond, Indiana, at a later date, according to the statement. 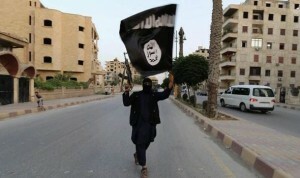 The New York Times said last week that Musaibli was captured by the Syrian Democratic Forces in northern Syria earlier in July as he tried to escape the Middle Euphrates River Valley, where the group has been working to drive Islamic State militants from one of the last areas they control. The man’s younger brother said he believed Musaibli was innocent, the Detroit News reported on Tuesday. “I don’t just believe he’s innocent. I KNOW he’s innocent,” Abdullah Musaibli said via Facebook Messenger, according to the newspaper. Musaibli will have a court-appointed lawyer, the brother said. Abdullah Musaibli said last week his brother was not a terrorist and that he had been lured by fellow Muslims into going to Syria to study religion and to work, the Detroit News said. We have been notified of multiple e-mails emanating from accounts supposedly sent by Polish individuals which have been passed onto UK Parliamentarians in support of the release of far-right activist and agent provocateur, Stephen Yaxley Lennon, (Tommy Robinson). The e-mails suggest that ‘political correctness’ is behind the arrest and incarceration of Robinson, which demonstrates the factually inaccurate nature of the propaganda that is being posted. Robinson was in breach of reporting restrictions on an ongoing trial and was previously warned of his activities by a judge. Something that he disregarded and flouted, leading to his incarceration. The e-mail also twists historical fact and suggests that Poles fought for ‘free speech’ and cites the left leaning Solidarnosc movement, which was trade union led and then supported by the Catholic Church during the 1980’s. The Solidarnosc movement was led by factory workers, many of whom would have no idea or no empathy for divisive racist movements and the twist of history to suit far right narratives and sympathisers, shows how defunct and ‘fake news’ such material is. “I have no doubts that your daughters and grand-daughters will end up in harems. Muslims despise us, we are doormats to them. Why? Because in modern Europe, life is the highest value. I don’t understand it. To be honest, Muslim civilisation is closer to me than the European Union which is just savage. When the Muslims come, at least they will abolish the VAT tax. They might chop some heads off, but at least they won’t allow any gay parades”. The You Tube clip in the e-mails that were circulated to Parliamentarians highlight right-wing ‘You Tuber’ Dariusz Matecki, who is closely linked to Korwin-Mikke’s Party. He is one of their chief propagandists. Faith Matters has made repeat calls for the Home Office to bar entry to people like Korwin-Mikke, yet he has managed to enter the United Kingdom and speak at the annual meeting of his UK branch. Korwin-Mikke also spoke at a far-right ‘free speech’ rally in London on May 27th alongside Anne-Marie Waters, (ex-UKIP), and now with the ‘For Britain’ party. We have found that Matecki confirms that he is the initiator of a campaign to send messages to UK politicians supporting Robinson and demanding his release. Matecki also recently published an interview about Robinson with the leader of ‘Liberty’ in the United Kingdom, one Jakub Grygowski, who is based in London. Within this interview, Matecki confirms once again, that he is the initiator of this campaign to send e-mails requesting the ‘release’ of Robinson to UK Parliamentarians. The interview carries with it, the usual twisted and perverse rhetoric of ‘Muslims only coming to the UK for benefits’, claims that British children cannot wear crosses since they ‘offend’ British Muslims and British people tolerating the ‘deviation’ of LGBT equality rights because of “years of brainwashing”. This is the nature of such groups agitating to cause divisions in our country. Grygowski is also found to suggest in the video that ‘Muslim areas’ in London are extremely dangerous and that if he was an ‘attractive young woman’ he would be scared to enter them. He carries onto say that ‘unattractive women’ should also stay away from these areas since Muslims “are into anything, even fancying goats”. Furthermore, to add a twist to reality, Grygowski said in the interview that there is a ‘Muslim takeover’ of United Kingdom and he claimed that Luton is 60-70% Muslim when at the last census it was 24.6%. Our advice to parliamentarians is to report these e-mails to the police since they make up a sustained campaign, emanating from a far-right Polish group with a small number of activists in the UK. Nonetheless, from the background we have provided, it is clear that the individuals behind the activities are not only deeply unpleasant, they hold extreme views about Muslims, LGBT communities, women and black communities. For further information on such groups, we would suggest that you follow the work of Faith Matters. The post Parliamentarians Receive Multiple E-mails from Individuals Citing Polish Support for Far Right Agitator, Robinson appeared first on TELL MAMA. In an exclusive to Faith Matters, we can today highlight how an Islamist extremist group, Tehreek-e-Labaik, was being promoted in Birmingham in the run up to the Pakistani elections, the results of which are expected tomorrow. Faith Matters has been at the vanguard of ensuring that Facebook pages of the Islamist extremist group, Tehreek-e-Labaik, were taken down, though recently, a whole host of Facebook pages supporting and promoting the extremist cleric, Khadim Hussain Rizvi, have gone up again. This also demonstrates the weakness of social media platforms who cannot stop new accounts being opened up by extremist individuals or groups. After a tip-off from a concerned member of the public, we came across mobile phone footage which clearly shows two clerics promoting Tehreek-e-Labaik in an electioneering meeting in Birmingham, which also fuses in religious incantantations in order to build up interest from the crowd. We have highlighted the extremist nature of this group before and we have also pointed out the failures in Twitter to remove the social media account of the spiritual leader of Tehreek-e-Labaik, Khadim Hussain Rizvi. Rizvi has repeatedly inflamed tensions in Pakistan in November 2017 when he rallied his Islamist followers in the tens of thousands against perceived changes to a piece of statute law called Ordinance Twenty. Introduced by the military dictator, General Zia-Ul-Haq, it stripped Ahmadis of their rights to call themselves Muslims. Rizvi mobilised his Islamist followers in an attempt to stop any perceived changes to Ordinance Twenty, culminating in a humiliating set of pleas by the Pakistani military for demonstrators to leave, whilst handing out money to them. Rizvi’s call to maintain the status quo and keep the isolation of the Ahmadis literally shut down Islamabad, the capital city of Pakistan. Furthermore, the primary campaigning theme of Tehreek-e-Labaik is ‘Death to Blasphemers’ and Rizvi has repeatedly praised the murderers of the late Punjab Governor, Salman Taseer, and the Glasgow based Ahmadi shopkeeper, Asad Shah, who was brutally murdered in March 2016. He has referred to the killers, Mumtaz Qadri and Tanveer Ahmed, as ‘ghazis’ or Islamic warriors, even highlighting in graphic detail in one mosque based sermon, how many times Ahmed stabbed the defenceless Shah on a street in Glasgow. Rizvi is adept at using the concept of blasphemy to whip up his audience into a frenzy, further demonstrating the dangerous rhetoric of the man and his political party in Pakistan. The following Facebook post from ‘Rivi Media’ clearly shows two clerics speaking to what seems to be a meeting of Barelwi Muslims in Birmingham. The first cleric starts off by saying that he has been with and has served Rizvi for 8 years and that Rizvi has worked tirelessly for the ‘deen’ – the faith of Islam. This is followed by cries of ‘SubhanAllah’, (God is perfect), by the young audience. It is clearly a sales pitch for the youth who have come to listen, and who may well be able to vote in the Pakistani elections. The young preacher then asks the audience to come to Pakistan to know more about Tehreek-e-Labaik and engage with them. What he forgets to tell the audience is that the whole basis of the political party has been to lionise murderers of ‘blasphemers’ meaning that anyone deemed to be a blasphemer, effectively has a target on their head. Worst still the second preacher breaks out into anti-Hindu sentiment and states that a vote for Tehreek-e-Labaik is a vote for ‘martyrs’ in heaven like Mumtaz Qadri, the bodyguard of Salman Taseer who killed the Punjab Governor when he defended a young Christian woman, Asia Bibi, from the nebulous charge of blasphemy in Pakistan. The preacher is heard to say that a vote for Tehreek-e-Labaik blesses and honours individuals like Mumtaz Qadri. He clearly is pushing for support for Imran Khan and Tehreek-e-Labaik. We have been deeply concerned as to how the extremism of Tehreek-e-Labaik is bleeding into Muslim communities of Pakistani heritage here in the UK. We have seen how some British Imams have cross-posted propaganda from this Islamist extremist cleric and we now have tangible evidence of campaigning by representatives of this group in places like Birmingham. After the murder of Asad Shah and open calls for murder by Tehreek-e-Labaik, we call upon the Home Office to consider proscription of this group. The group has past form in promoting violent extremism, just because they deem that someone has blasphemed Islam. This is not politics, it is the behaviour and rhetoric of extremists. It really is as simple as that. Director of Tell MAMA, Iman Atta OBE says, “we are in deeply worrying times where people are looking for certainty and what they are getting is instability at a political and societal level. This means that at times like this, minority groups are the ones who suffer the anger of those looking to vent their fears, insecurities and concerns. “We are seeing more aggressive street-based incidents, younger perpetrators, between the ages of 13-18, increased vandalism and international interference by well organised social media accounts playing groups off in the UK. More than ever, we need to come together and redouble our efforts against those who seek to divide and play communities off against each other”. In 2017 Tell MAMA recorded a total of 1,330 reports. Of these reports, 1,201 were verified as being anti-Muslim or Islamophobic in nature and as having occurred in the UK between January and December 2017. More than two-thirds of verified incidents occurred offline, or on a street-level (70%, n=839), which represents a 30% rise in offline reports when compared to the previous reporting period (n=643). An offline, or street-level, incident means that the incident occurred in-person between a victim (or property) and a perpetrator. There were therefore more street incidents of anti-Muslim hatred reported into Tell MAMA. Crimes or incidents that are classified as ‘online’ occurred on social media platforms such as Facebook or Twitter, or on other Internet-based platforms, were verified as having happened within the UK, and account for a third of reports in 2017 (n=362), which represents a 16.3% rise in reports when compared to the previous year (n=311). This small rise can be partially attributed to the way in which ideologically-motivated accounts felt emboldened by major trigger events, (such as terrorist attacks) and broader Islamophobic discourses in the public sphere. The ‘online hate’ figure, however, should be viewed as part of a wider trend in our datasets where there has been a marked shift towards more serious offline incidents such as physical attacks, threatening behaviour and abuse more generally, along with a growing awareness of Tell MAMA in Muslim communities, among key stakeholders, and partners, resulting in a greater willingness amongst victims and witnesses to report. Tell MAMA has listed in its annual report examples of ‘Twitter bots’ that have sought to cause disruption and division in community perceptions and which have actively promoted anti-Muslim hatred. One such Twitter account was @DavidJo52951945 . Responses to the rhetoric on this account, called for violent action against Islamic institutions and on August 30th 2017, the Times reported that this bot originated from Russia. Furthermore, a Twitter account called @SouthLoneStar, which had amassed some 16,500 followers, was responsible in starting a global trend after the Westminster terrorist attack. The @SouthLoneStar account made several tweets about the terror attack on Westminster Bridge before sharing the photo of a Muslim woman walking across the bridge on a mobile phone, just after the vehicle had mown down pedestrians. It used the major hashtags (#PrayForLondon and #Westminster) to post tweets which described Islam as a ‘cult of death’ and added the #BanIslam hashtag. An earlier tweet called for Islam to be ‘outlawed’. An archive of the @SouthLoneStar account in January 2017 revealed many pro-Trump tweets and how the account had followed a far-right account named @pepethetroll, which remains active on the platform. Nor was the anti-Muslim content specific to the United States or even Britain. Further archive research of the account reveals that the @SouthLoneStar had attempted to stir-up anti-Muslim views in other European countries. For example, on 11 March 2017, @SouthLoneStar used the ‘#BanIslam’ and ‘#Rotterdam’ hashtags in a tweet which shared an image of about Muslim conquests and the Crusades. The Guardian reported that the @SouthLoneStar account was the “creation of the Internet Research Agency, a Russian “troll army” based in St Petersburg. This is where, in rooms of about 20 people working 12-hour shifts for pay of between 45,000 and 65,000 rubles a month (£575-£830), a modern disinformation campaign is crafted.” Whilst these are some examples of Twitter and social media accounts promoting direct anti-Muslim hatred, we need to maintain vigilance against foreign interference, in these cases, emanating from Russia, which seek to promote division and intolerance in the UK. Social media agencies such as Twitter conduct a haphazard removal process for content. Our report highlights inaction from Twitter even on material that glorifies anti-Muslim hatred and violence against Muslims and Islamic institutions. Furthermore, Twitter’s inactivity in removing anti-Muslim hate material is deeply worrying and shows a wanton lack of desire to understand this hatred on its platform. Twitter has also demonstrated to us in Tell MAMA, its inability to stop individuals opening up new accounts repeatedly, when they have been banned from using the platform. In one case, a victim had to report in eleven separate accounts for harassment and with Twitter unable to stop the creation of new accounts and even dismissing reports on the same individual when multiple accounts linked to him were reported in through the ‘reporting in’ channels for Twitter. In 2017, vandalism replaced threatening behaviour as the third most common anti-Muslim hate incident. There was a 56% increase in anti-Muslim vandalism when compared with 2016, with one in ten ‘real-world’ incidents being classed as vandalism. (The most widely reported anti-Muslim hate incident was classified as ‘abusive behaviour’ with the second most reported frequency of incident classed as a ‘physical attack’. This demonstrated a rise in physical intimidation and actions against Muslim faith institutions and property.) Discrimination was the fourth most common anti-Muslim incident reported to Tell MAMA in 2017, with a 77% increase in incidents when compared to 2016. This category included mistreatment, denial of opportunities or denial of services based on Islamophobic prejudice, some of which was institutional in nature. Gender Variances in Attacks: 2017 data showed that at a street level nearly 6 out of 10 victims of anti-Muslim hate were women and 8 in 10 of the perpetrators were male, re-affirming previous findings over the years, that anti-Muslim hate or Islamophobia at a street level is also male on female abuse in addition to anti-Muslim hatred and bigotry. Where age group data was available, the most common age for victims was 26-35. The most common age for perpetrators was 13-18. Texas Lone Star. Twitter post. 2016. Available at: https://web.archive.org/web/20170112123756/https://twitter.com/SouthLoneStar/ (retrieved 18/06/2018). Texas Lone Star. Twitter post. March 11 2017, 20:01. Available at: https://web.archive.org/web/20170112123756/https://twitter.com/SouthLoneStar/ (retrieved 18/06/2018). None of that has stopped Saeed from hitting the campaign trail for Pakistan’s July 25 general election, denouncing the outgoing government as “traitors” and whipping up support for the more than 200 candidates he backs. “The politics of the American servants is coming to an end!” Saeed thundered at a rally this month in the eastern city of Lahore, where supporters showered him with rose petals. The main race in Wednesday’s vote is between the party of now-jailed former Prime Minister Nawaz Sharif, which is seeking a second consecutive term despite its leader’s downfall on corruption charges, and the party of former cricket star Imran Khan, perceived as the favourite of the powerful military. But a bumper crop of ultra-Islamist groups are also contesting the poll, with the potential to reshape the political landscape of the nuclear-armed Muslim country of 208 million people with anti-Western rhetoric and calls for ever-stricter interpretation of sharia, or Islamic law. The proliferation of religious parties appears to be a fulfilment of a proposal made by Pakistan’s military to “mainstream” armed Islamists and other extremists into politics, though the parties and the army deny any links. Even if, as expected, they win few seats, liberal and secular-minded Pakistanis say the sheer number of religious party candidates, combined with their ultra-conservative rhetoric, has already shifted the agenda in their direction. With the new parties routinely accusing opponents of blasphemy or treason, mainstream parties have echoed their language in attacking Sharif’s Pakistan Muslim League-Nawaz (PML-N). Religious parties – some new, others established – are fielding more than 1,500 candidates for national and provincial assemblies, compared with a few hundred in 2013. While Pakistan has always had Islamist parties, the new entries are notable for their alleged links to militants and their rhetorical attacks on mainstream politicians’ piety or patriotism. Pakistan’s three main parties all stress devotion to Islam, but the new religious parties portray them – especially the PML-N – as leading Pakistan down a Western-inspired path away from the country’s Islamic values. One new party, Tehreek-e-Labaik Pakistan, campaigns under the rallying cry “death to blasphemers” and is fielding 566 candidates. Its candidates rail against the PML-N as blasphemers for a small abortive change last year to election law, which was quickly reversed after nationwide protests in which at least seven people were killed. The change was to the swearing-in oath for candidates – from a religious vow to a simple declaration – stating the Prophet Mohammad was God’s last messenger, a central tenet of Islam. In May, a man police identified as a Labaik supporter shot and wounded then-Interior Minister Ahsan Iqbal as he left a meeting. He told interrogators Iqbal had to die because he was a blasphemer. Tehreek-e-Labaik leader Khadim Hussain Rizvi condemned Iqbal’s shooting. But this month, he said the party could not be held responsible. Leaders of the mainstream opposition parties all condemned the attack on Iqbal. Still, Imran Khan has also invoked the blasphemy controversy in campaign speeches, defending such language in a recent interview with Reuters. While Tehreek-e-Labaik is a legally registered party, other movements fielding candidates are officially banned in Pakistan but have bypassed the legal restrictions. Pakistan’s Election Commission this year rejected Saeed’s Islamic charity’s application to register a political party, the Milli Muslim League, but the group later registered candidates under the name of an existing party, Allahu Akbar Tehreek, which now campaigns with Saeed’s image on its posters. Saeed is accused of masterminding the 2008 attacks on India’s financial capital. The United States offers a $10 million reward for his conviction over the attacks, in which several Americans were killed. Saeed denies any involvement. Another party, the Sunni extremist Ahl-e-Sunnat Wal Jamaat (ASWJ), is also fielding dozens of candidates under a different name, even though it is banned as the political wing of Lashkar-e-Jhangvi (LeJ), which has killed hundreds of minority Shi’ite Muslims. The party denies links with LeJ. Last month, ASWJ leader Muhammad Ahmed Ludhianvi’s name was removed by a caretaker government from Pakistan’s terrorism watchlist, cementing his own candidacy. A spokesman for the Election Commission of Pakistan, Altaf Khan, asked about the banned groups’ candidates, said no illegal group had been registered. “If some political party is registered with us, and it has come through the (legal) process, what’s wrong in it?,” Khan said. He added that the commission was investigating complaints of banned parties campaigning under different names. A military spokesman declined to comment on religious parties. The army denies interfering in politics. However, the military did propose “mainstreaming” militant-linked groups into politics in a 2016 National Security meeting, military and government sources have told Reuters. The plan was pitched as a way to reduce violence and extremism under the model of the Northern Ireland peace process. Critics say the real goal is for new ultra-religious parties to cut into the conservative base of Sharif’s party and confer legitimacy to Islamist militants the army has long been accused of nurturing as proxies in its rivalry with India. Analysts say even with the increase in candidates, Islamists are unlikely to win more than a dozen or so seats in parliament. But that might not be the point. Pakistani author and analyst Ayesha Siddiqa, a longtime critic of the military, believes the army, tired of civilian governments challenging its grip on foreign policy and large chunks of the economy, is seeking to weaken mainstream parties. The post Hardline Islamists push religion to centre of Pakistan election appeared first on Faith Matters. A new high-tech forensic study of the blood flows on the Shroud of Turin, the mysterious linen some Christians believe is Jesus’ burial cloth, is the latest analysis to suggest that it is most likely a medieval fake. The results of the investigation, in which scientists used a volunteer and a mannequin and employed sophisticated techniques such as Bloodstain Pattern Analysis (BPA), was published in the latest edition of the Journal of Forensic Sciences. The Roman Catholic Church has not taken an official position on the authenticity of cloth, which bears an image, reversed like a photographic negative, of a man with the wounds of a crucifixion. Sceptics say the cloth, which measures 14 feet, 4 inches by 3 feet, 7 inches (4.4 by 1.1 meters), is a masterful medieval forgery. Carbon dating tests in 1988 put it between 1260 and 1390, but some have challenged their accuracy. The latest study was restricted to blood flows that would have resulted from some wounds – those of the left hand, the forearms, a wound in the side that the Bible says was caused by a lance, and blood stains near the waist. Using instruments such a ballistic angle finder, the study showed that the direction and behaviour of the rivulets of blood did not match those evidenced in high-resolution photographs of the shroud. The cloth is housed in a special case in the Turin Cathedral and goes on display only on rare occasions. The post New forensic tests suggest Shroud of Turin is fake appeared first on Faith Matters. Israel has released a Turkish woman who had been arrested while visiting on a tourist visa and accused of helping the Hamas Palestinian militant group, in a case that angered Ankara, her lawyer said on Monday. Turkey threatened retaliation after Ebru Ozkan’s detention last month. The ex-allies have long been at loggerheads over Israeli policy toward the Palestinians and Jerusalem’s status. The Turkish news agency Anadlou quoted Ozkan, upon landing, as thanking President Tayyip Erdogan for having been “kind enough to be very interested in my case”. An Israeli military spokesman had no immediate comment. Ozkan was held at Tel Aviv’s Ben Gurion Airport last month while trying to board her original flight home after a visit that took her to Jerusalem, whose Al Aqsa Mosque draws pilgrims from the few Muslim countries that have relations with Israel. She was charged with helping smuggling money and packages to Hamas, which is classed as a terrorist group in Israel and the West, but not by NATO-power Turkey. Ozkan’s lawyer dismissed the charges as baseless and, potentially, politically motivated. Hamas did not comment on the case. Turkey’s Islamist-rooted government had cited Israel’s treatment of Ozkan and several other detained Turkish visitors as among “inhumane policies” that were souring bilateral ties. Ankara vocally opposed the U.S. recognition in December of Jerusalem as Israel’s capital. Palestinians want a state with a capital in eastern parts of the city where Al Aqsa, as well as major Jewish and Christian shrines, are housed.